The Texas Cowboy represents the storied heritage of this great state. 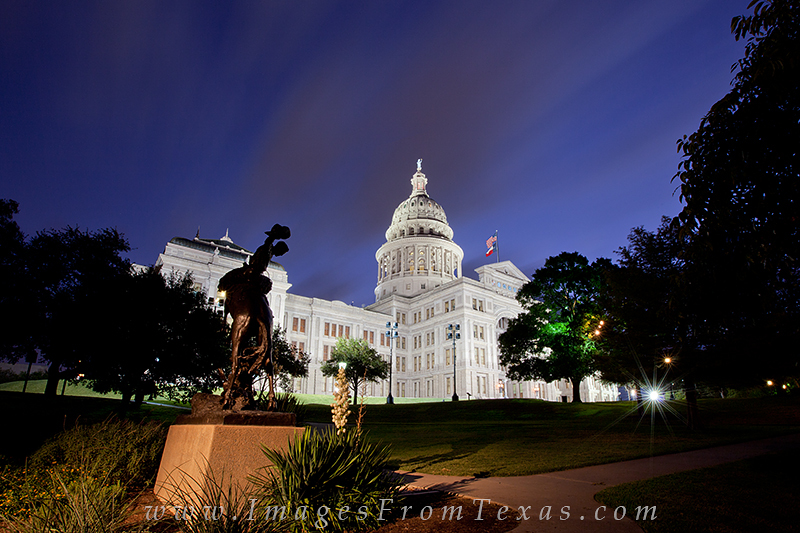 Seen here in front of the Texas State Capitol at night, the statue resides on the grounds of the capitol. Photo © copyright by Rob Greebon.